Julie Eizenberg, FAIA, RAIA has given visibility to the design value and potential of community projects and people-oriented practice. She is a Founding Principal of KoningEizenberg Architecture, responsible for setting the design vision. Her focus on the user experience, whether it is an individual, underserved community, or the public at large brings an empathetic perspective that underpins how the firm transforms mundane programs into places of ease and generosity. Julie teaches and lectures around the world, and has been a frequent advisor to the U.S. Mayor’s Institute on City Design, where she worked with mayors to imagine the possibilities for their cities. As a board member for Public Architecture, she raised awareness of opportunities for architects to get involved in social impact projects, and on the board of the School of Architecture at Taliesin, she offers insight into education, sustainability, and community process. 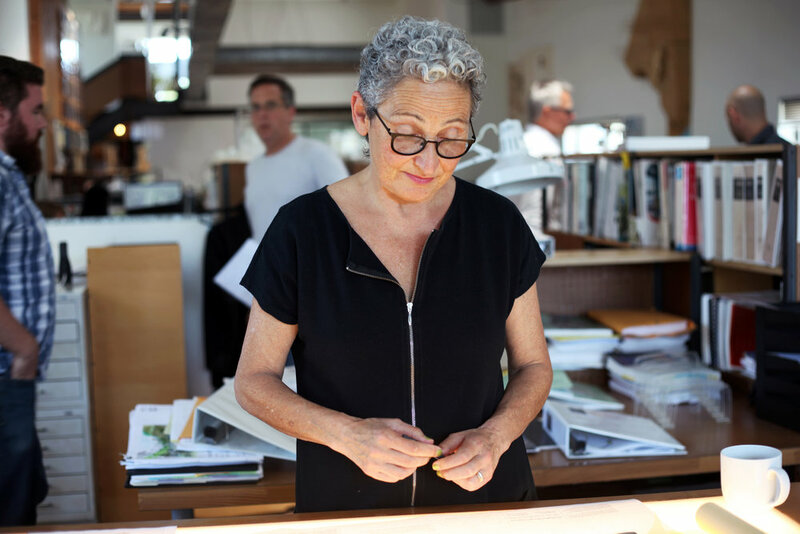 In 2012, she and founding partner Hank Koning were awarded the AIA Los Angeles Gold Medal in recognition of their lasting influence on the theory and practice of architecture, and in 2016 she received an Honorary Doctorate from the University of Melbourne, Australia.